The Winnipeg Jets in conjunction with their American Hockey League affiliate in St. John’s, NL are pleased to announce today they have agreed to terms with Marco Rosa, Shawn Weller, Kevin Clark, Travis Ramsey, Michael Kirkpatrick, Shayne Wiebe, and John Albert on new American Hockey League contracts. As per club policy, terms of the agreements are not disclosed. Rosa, 29, appeared in 51 games with the Manitoba Moose during the 2010-11 season. In his second season with the club, Rosa collected 34 points (13g, 21a) and 20 penalty minutes. 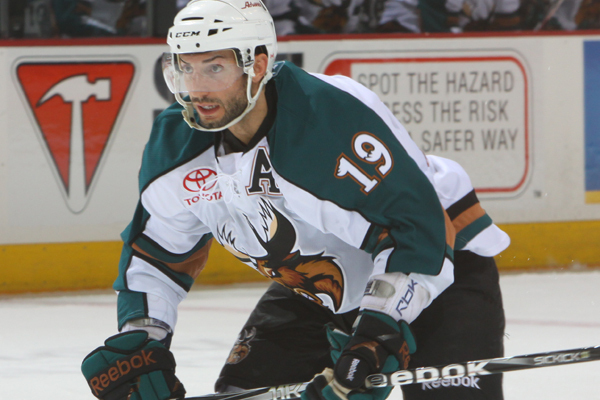 The Scarborough, ON native led the Moose in scoring during the 2011 Calder Cup Playoffs with 17 points (6g, 11a) in 14 postseason games. Through seven years of pro experience, the centreman has played in 322 AHL games for Milwaukee, Providence, Houston, and Manitoba recording 177 points (71g, 106a) and 149 penalty minutes. Rosa was originally drafted by the Dallas Stars in the eighth round, 255th overall, in the 2001 NHL Entry Draft. 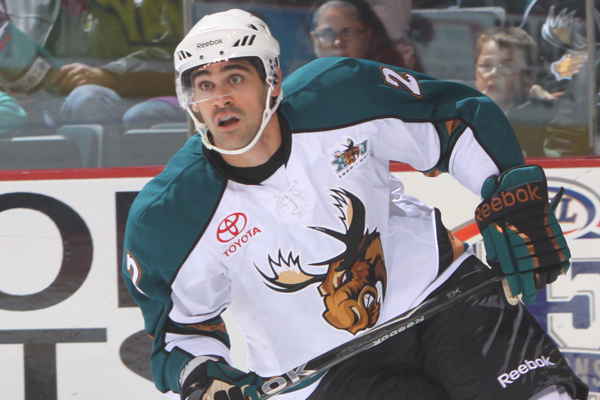 Weller, 25, played 67 games for the Moose last season reaching AHL career highs in goals (12) and assists (11). The forward from Glens Falls, NY also appeared in 10 postseason games with the Moose during the Calder Cup Playoffs where he recorded four penalty minutes. Weller has played in parts of four seasons in the AHL appearing in 232 games for Binghamton, Abbotsford, and Manitoba. In those games, Weller has compiled 60 points (32 g, 28a) and 170 penalty minutes. Weller was originally drafted by the Ottawa Senators in the third round, 77th overall, in the 2004 NHL Entry Draft. Clark, 23, played his first pro season in his hometown of Winnipeg, MB playing in 43 games with the Moose last year. Playing right wing for the Moose, he recorded 14 points (6g, 8a) and 22 penalty minutes in his rookie campaign and added six points (3g, 3a) in 11 Calder Cup Playoff games. Clark also played nine games and scored three points (2g, 1a) for the Moose in 2009-10 following his last NCAA season with the University of Alaska-Anchorage. Ramsey, 28, played 57 games for the Moose in 2010-11 and compiled 12 assists and 63 penalty minutes. The defenceman also played in 14 postseason games during the 2011 Calder Cup Playoffs and recorded three assists and six penalty minutes. The native of Lakewood, CA has played his entire AHL career with the Moose recording 38 points (4g, 34a) and 194 penalty minutes in 180 games. Kirkpatrick, 21, has played the last four seasons with the Saint John Sea Dogs of the QMJHL where he recently helped the Sea Dogs capture the 2011 Mastercard Memorial Cup as the top junior team in the Canadian Hockey League. Playing centre for the Sea Dogs, Kirkpatrick tied for second on the team in scoring during the Memorial Cup tournament with five points (1g, 4a) in three games. Originally from North Sydney, NS, Kirkpatrick collected 251 points (108g, 143a) and 153 penalty minutes in 266 QMJHL games. Wiebe, 21, captained the Brandon Wheat Kings last season leading the team with 44 goals in 72 games. He also collected 21 assists and 60 penalty minutes in 2010-11. The centre from Brandon, MB played four WHL seasons with the Kamloops Blazers and Brandon Wheat Kings totaling 197 points (108g, 89a) and 287 penalty minutes in 276 games. Wiebe signed an amateur tryout and played one AHL game with the Connecticut Whale after the Wheat Kings were eliminated from the 2011 WHL Playoffs. Albert, 22, appeared in 37 games and recorded 34 points (12g, 22a) with the Ohio State Buckeyes during his senior season in 2010-11. In his college hockey career, the native of Concord, OH played four seasons with the Buckeyes as a centre, totaling 124 points (33g, 91a) and 68 penalty minutes in 159 games. Albert was originally drafted by the Atlanta Thrashers in the sixth round, 175th overall, in the 2007 NHL Entry Draft.